Beiranvand, B., Navabi, S., Beiki, O., Kashefi, H., Eskandari, S., Obeidavi, Z. (2013). Investigation of Epidemiologic Toxicities Caused by Paraquat Herbicide and Comparing Factors Influencing These Patients’ Causality in Kermanshah Imam Khomeini Hospital (2002-2013). International Journal of Advanced Biological and Biomedical Research, 1(10), 1199-1203. Behrouz Beiranvand; Seyed Jafar Navabi; Omid Beiki; Hajar Kashefi; Sodabeh Eskandari; Zia Obeidavi. "Investigation of Epidemiologic Toxicities Caused by Paraquat Herbicide and Comparing Factors Influencing These Patients’ Causality in Kermanshah Imam Khomeini Hospital (2002-2013)". 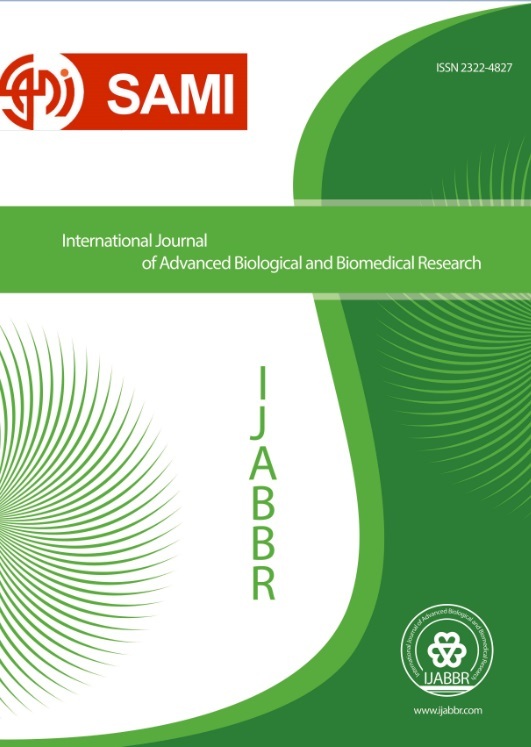 International Journal of Advanced Biological and Biomedical Research, 1, 10, 2013, 1199-1203. Beiranvand, B., Navabi, S., Beiki, O., Kashefi, H., Eskandari, S., Obeidavi, Z. (2013). 'Investigation of Epidemiologic Toxicities Caused by Paraquat Herbicide and Comparing Factors Influencing These Patients’ Causality in Kermanshah Imam Khomeini Hospital (2002-2013)', International Journal of Advanced Biological and Biomedical Research, 1(10), pp. 1199-1203. Beiranvand, B., Navabi, S., Beiki, O., Kashefi, H., Eskandari, S., Obeidavi, Z. Investigation of Epidemiologic Toxicities Caused by Paraquat Herbicide and Comparing Factors Influencing These Patients’ Causality in Kermanshah Imam Khomeini Hospital (2002-2013). International Journal of Advanced Biological and Biomedical Research, 2013; 1(10): 1199-1203.